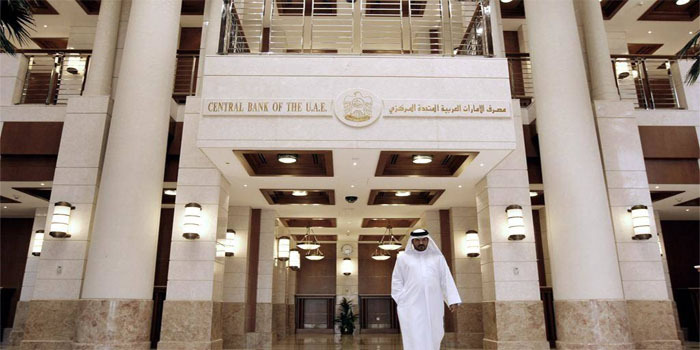 The Central Bank of the UAE (CBUAE) has launched a national initiative under the name “National Loans Scheme” in cooperation with the UAE Banks Federation and national lenders. The new scheme, launched on Saturday, consolidates all loans and introduces a monthly instalment limit of 50% of income, or 30% of pensions, over a four-year duration, state-run news agency WAM said. The new initiative comes along with the UAE’s economic and social strategies, which prioritise providing better living standards for the citizens, economic analysts told Mubasher. The scheme will be applied on personal loans granted before May 2011, which exceed maximum settlement amounts and periods. Eligible loans include auto loans, overdraft facilities, and credit card balances, excluding mortgage loans and loans for shares or deposits. Banks participating in the initiative will begin accepting applications for the programme as of 1 April, and the regulator will closely monitor the process to ensure a successful implementation that benefits eligible applicants, the central bank said. As for loans granted before the introduction of the scheme, lenders have been asked to slash interest rates, avoid extending settlement periods, and reject additional credit requests. Up to 17 banks are participating in the scheme, which reflects the readiness of the banking sector to share in achieving the UAE’s economic and social objectives, capital market expert Waddah Al Taha told Mubasher. The banks are First Abu Dhabi Bank (FAB), Abu Dhabi Commercial Bank (ADCB), Union National Bank (UNB), Emirates NBD, Commercial Bank International (CBI), United Arab Bank (UAB), National Bank of Fujairah (NBF), Mashreq Bank (MASQ) and Dubai Islamic Bank (DIB) among others. Economist Ali Al Hamoudi told Mubasher that the initiative aims to ease the burden of debt accumulation for UAE nationals. He pointed out that the scheme will help citizens better manage their debt settlements.